Nothing says prevention is better than cure than having a sewer line break. It causes extensive damage to both your wallet and your property. A massive water bill, stomach-churning waste backing up into toilets, and basement flooding are just some of the nightmares you'll have to face when you put off that sewer repair. So what will you do when you hear a weird gurgling sound coming out of your drains? Don't ignore it when you notice water drainage slowing down. Instead of having old school technicians come over and do a traditional repair, call Rapid Plumbing for the latest trenchless sewer repair in Studio City. We’ll do the job quickly and with minimal fuss! Large-scale digging operations were not uncommon back in the days of old sewer repair. This meant that your yard would be inevitably destroyed in the process of repairing your sewer pipes. You’d be hiring manpower to haul heavy machinery. You’d be spending thousands of dollars just to get your sewer systems back online! Today, trenchless technology saves Studio City homeowners from all the headache. A trenchless sewer line repair can be done several ways. But what they do have in common is a no-dig approach that's a win-win for all parties involved. Our professional technicians first inspect your sewer lines using a high-tech fiber optic camera fed through the pipes. A live video feed is sent to a laptop, which brings a visual edge to seeing where the problem is and what the state of your pipes are. 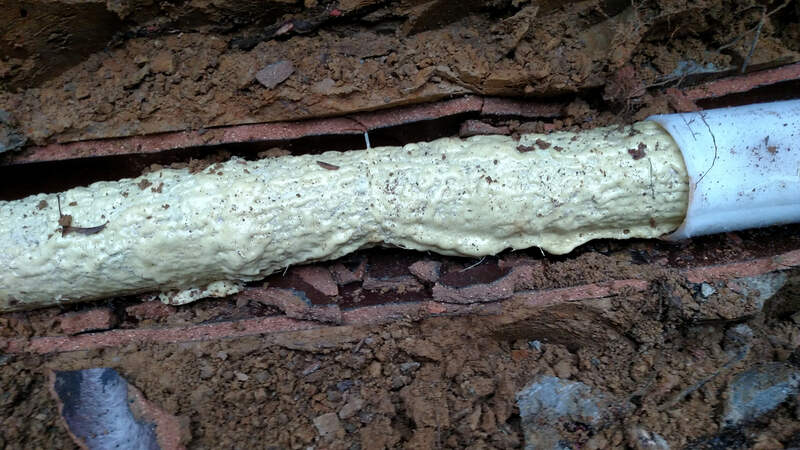 In just a few minutes, our technicians will see the cause of the problem, whether it's a collapsed, cracked, bellying pipe, tree roots or any other type of sewage line issue. Once we identify the cause, our certified technicians will recommend the best course of action. It would depend on the state of your pipe, the location of the problem, and the most appropriate of the trenchless methods. A special liner coated with resin is inserted into the line, which is then cured via steam or heat method. A felt liner is placed inside the line and "inverted", or turned inside out to repair a large section of your sewer line. It is ideally used on business plumbing systems or industrial complexes. Rapid Plumbing makes use of the latest trenchless technology to bring your sewer lines to a new-like state. Our advanced equipment and highly skilled technicians make short work of your sewer line issue while ensuring top quality and less environmental damage. With over 20 years of plumbing experience, our trenchless repairs are seamlessly done within the day and in just a few hours. We specialize in handling all plumbing concerns at an affordable price. Call us now and take advantage of our quality services. We offer free estimates and all of our work comes with 100% guarantee!